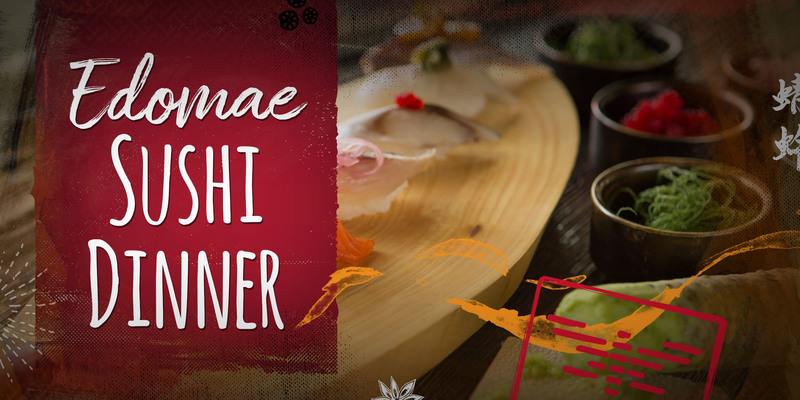 This December, we’re rolling out a new limited-seating dinner event series: Edomae Nigiri Sushi Dinner Series. Join us for this chef-guided tour of the finest fishes imported straight from Japan’s Tsukiji market. What is Edomae Style Nigiri Sushi? The term Edomae carries a double meaning. The first meaning is literally “in front of Edo,” a reference to the location of Tokyo Bay—the birthplace of the Edomae Nigiri style sushi. The second meaning is “work.” Old Edo lacked the transportation and refrigeration technologies that Tokyoites take for granted today. Since fresh seafood at the time would quickly start to spoil and lose its flavor, sushi chefs would go to “work” on their ingredients, using such techniques as marinating, steaming, simmering in broth, and steeping in sauces to bring out the flavor and prolong shelf life. What to Expect at our Edomae Style Dinner? Simply put, expertise and a direct connection to the chef preparing your meal. The nigiri will be prepared and served to you individually, as Chef prepares them. You’ll be guided through the techniques being used, and the flavors being highlighted. The Edomae dinner is an Omakase meal (of sorts), so the fish, toppings, preparation, and presentation methods are completely up to the chef. For this particular dinner series event, you won’t be getting the fishes that are currently on the menu, we’re ordering special sushi selections from the Tsukiji market to really treat you. That’s 12-14 nigiri pieces that you won’t find anywhere else in town, prepared especially for you! While seating for this Sushi dinner is limited, it’s a breeze to get tickets. You can purchase them online here, or give us a call and purchase over the phone (407) 370.3359.